In light of the four year anniversary of the Rana Plaza collapse (April 24th), as well as International Workers’ Day (May 1st), I thought it would be a good time to share some new educational resources related to fashion and responsibility. I think what’s most interesting (and exciting) about these two initiatives, is that they strive to get learners interested in alternative forms of engagement. While so many responsible fashion education and campaign actions focus on consumer-based (user) approaches to change, these initiatives offer the potential to move things further, leaving space for learners to think through systemic challenges related to fashion and apparel production and consumption. 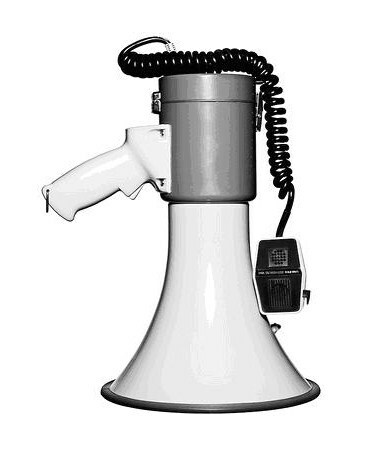 The result is that learners are able to curate their own activist toolkit, with or without consumer-based strategies and actions. The Social Alterations ‘Mind Map’ is one of our key resources designed to help you dig through to the root causes and consequences of a particular issue or challenge. We’d recommend keeping this resource on hand and using it in conjunction with the Who Made My Clothes? course and The School of Gentle Protest. You’ll find that resource for free in our Lab, here. “Fashion Exposed”: a serious of short videos filmed and directed by garment workers in Cambodia, supported by TRAID, Labour Behind the Label and the Rainbow Collective. “Behind the Seams”: a suite of free educational resources from TRAID, all available for download. Fashion Revolution offers a collection of free educational resources, developed by and in collaboration with Ian Cook and others. And of course, if you haven’t already, be sure to check out all of the resources we have developed over the years. You’ll find these all available to download for free in our Learning Lab. Happy learning everyone, hope it all leads to some creative disruption! This entry was posted in Responsibility and tagged Apparel, Bangladesh, Cambodia, Craftivist Collective, Education, fashion, Fashion Revolution, Ian Cook, Labour Behind the Label, protest, Rana Plaza, Sarah Corbett, The Rainbow Collective, TRAID, University of Exeter, Worker Rights on May 4, 2017 by Mary Hanlon. On April 24th 2013, the Rana Plaza building collapsed in Bangladesh. Over 1,130 workers were killed and thousands more were left injured. These workers were producing garments for consumers in Europe and North America. We have now marked the two year anniversary of the collapse, yet the ILO trust fund established to support victims and their families remains nearly 3 million dollars short. Rana Plaza was not the first industrial accident of its kind in Bangladesh, and building (and fire) safety is not the only challenge faced by garment workers. 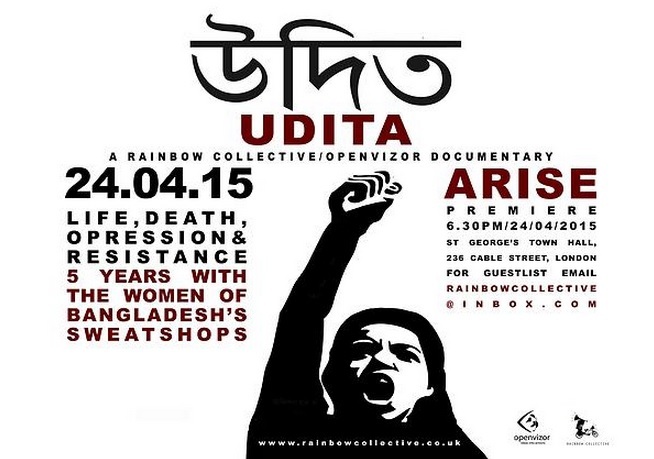 Udita, the latest documentary from The Rainbow Collective, brings together footage capturing garment work in Bangladesh, collected over a five year period. The Rainbow Collective premiered the film in East London at the Unite The Union Community Centre to a packed house on 24 April, marking the 2nd anniversary of the Rana Plaza collapse. 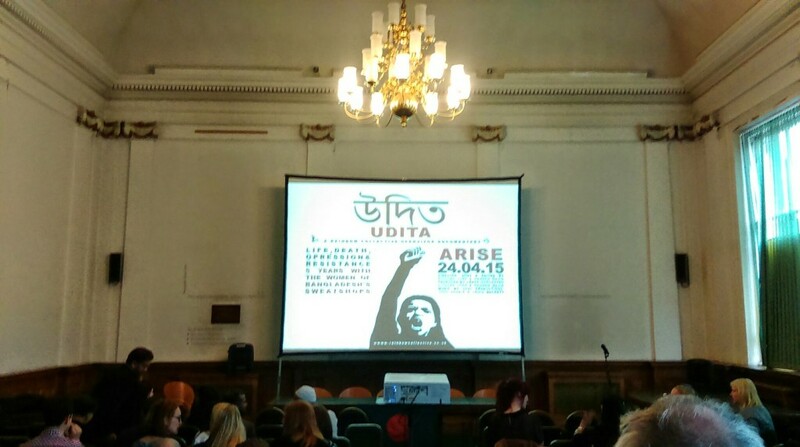 Udita asks its audience to listen to the testimonies of workers and organisers. No simple solution is presented. No judgements are passed. Viewers are left to draw their own connections. Thanks to The Rainbow Collective for making Udita free and accessible. Please watch and share through your networks. Note: This blog post was also published on Routes blog, with permission. This entry was posted in Bangladesh, EDUCATION, Events, Films, Labour, Responsibility, Social Alterations and tagged Bangladesh, fashion, Film, Freedoms of Association, Labour, Labour Rights, The Rainbow Collective, Worker Rights on May 6, 2015 by Mary Hanlon.